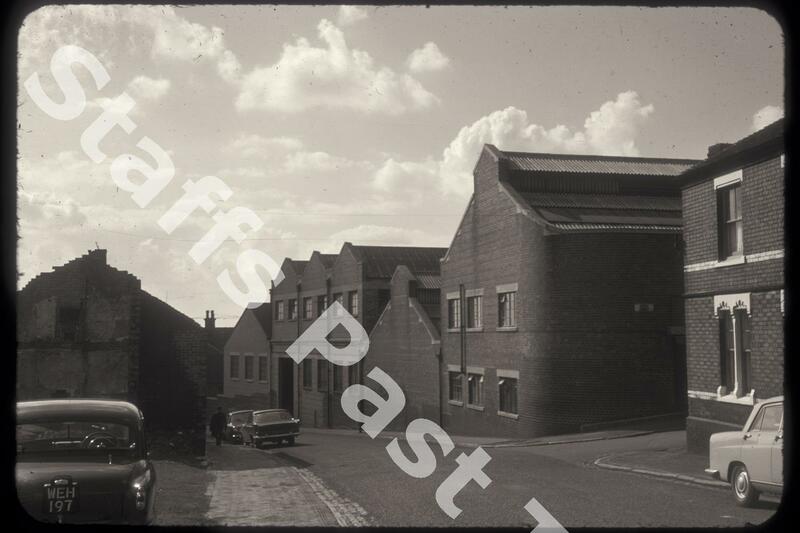 Description:Harrison's Phoenix Chemical Works was on Garth Street. 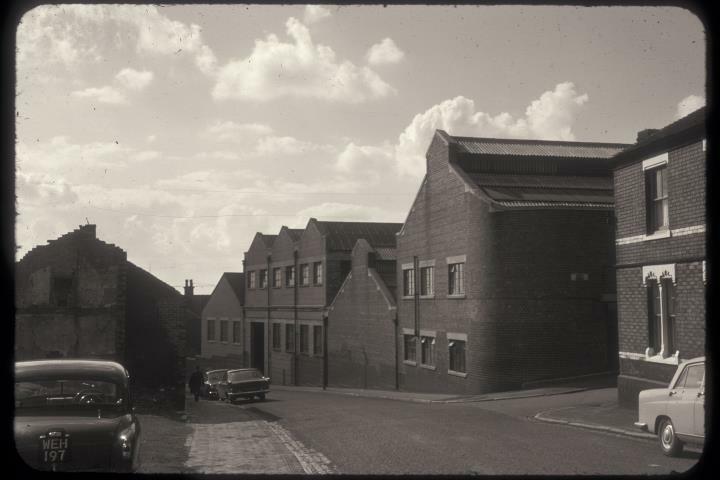 This photograph shows the corner of Harrison's works at the junction of Hillcrest Street and Garth Street (off to the right). This part of the works dates from the 1920s. Harrison's produced a wide variety of frits, colours and glazes for tiles, earthenware and china. The works is no longer standing although the terraced house on the right hand edge is.